This topic contains 4 replies, has 3 voices, and was last updated by admin 1 year, 2 months ago. We are using both English and French language in our website. So we want to generate the PDF based on the user who submits the form either in English or French. Once we use the separate form for each user we could do all the functionality like sending email and generate the PDF attachment in user language separately. However, we are using WPML plugin for language translation. But creating multiple form for each language is quit difficult to manage for us. So we want to generate the separate PDF for both En and Fr based on the user. So we need to the possibilities to generate the PDF without duplicating the formidable form.? We are not clear regarding your question. 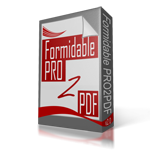 PRO2PDF fills pre-made PDF forms with data from Formidable Forms. The pre-made PDF can be in any language and the Formidable Form can store data in most languages… The data submitted to the web form will fill the PDF form using the Field Map Layout. How is the plugin not working for your need? Actually we have created a form and a layout for English language. And we need to create the French PDF as well. Once the English form has to submitted the English PDF will be generate and it will attach to the email notification. Same way we have French page and we are using the same form in that page. So once we submitted the french form(we have used same form for both English and French page) we need to generate the French PDF and attach with the admin mail. berman, did you get this figured out yet? I thhnk I understand what you need to do so might be able to help. We are curious Barb, how you would use WPML in this situation?